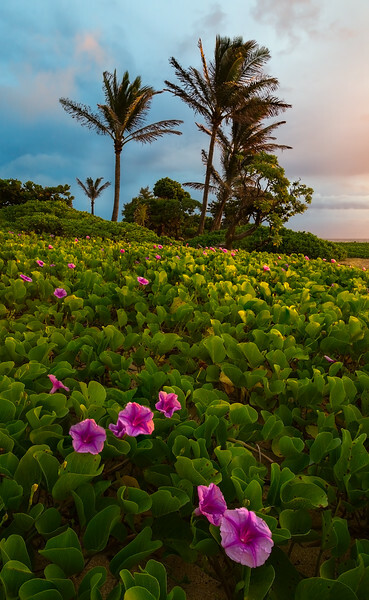 I saw these Morning Glories blooming at Sandy Beach on the Windward (Southeastern) side of Oahu, Hawaii. I went at sunrise to capture this composition. It was a drizzly, breezy morning, but was still able to get this nice photo.